Congratulations to you and Matt. He is beautiful. BTW, My colleague also gave birth 5/6/13 to a baby boy. Welcome Noah. He's a beautiful addition to your lovely family! Congratulations! Congratulations! You're a MAMMA! May your first few days together as a family be a tremendous blessing to you all! Enormous congratulations, I thought you had gone quiet! Welcome to the world little fella. Congratulations to the new and improved little family! Rest (as much as you can) and get to know the new arrival. Mazel tov! Congrats to you Mary!! Enjoy every little thing, it goes by way too fast. Congrats to you Mary!! Enjoy every little moment, it goes by way too fast! Wow! Mary I was just thinking of you yesterday! Weird! Congratulations! He's beautiful! You're going to love being a Mama! I can't wait to read all about it! 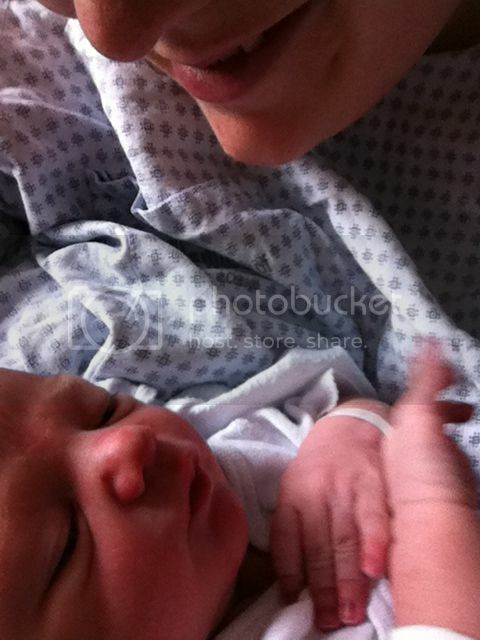 congrats on your lil angel, he's beautiful! CONGRATULATIONS! How Wonderful! SO SO SO happy for you! He is absolutely gorgeous! Bravooo à vous 2 !! Congrats, Mary! He is beautiful! Welcome Noah! You have given your mother one of the most precious gifts, Unconditional Love. So unbelievably proud of you Mary! !